It's time for Nha Trang! Super Early Bird is now on! To tri-sport athletes from all around the world, IPPGroup Challenge Vietnam, the Best Inaugural Long Distance Triathlon in Asia, officially opens registration for 2019. Offering you clear crystal waters, a challenging but stunning bike and running course, Nha Trang city is looking forward to welcoming you to the Challenge Family and Vietnam! 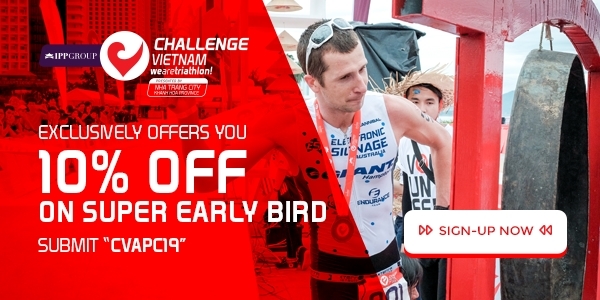 Sign-up at www.challengevietnam.com/registration-2/ and be one of the first ones to register!